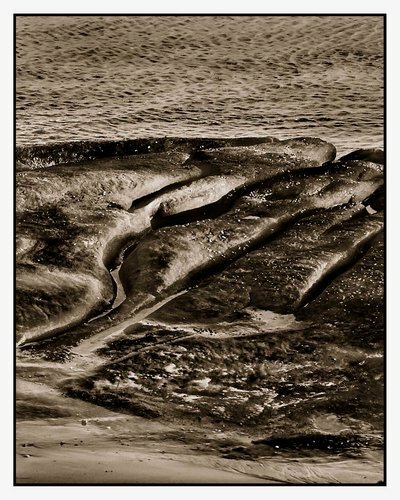 'On the Rocks - Sepia ' by Sherryl Johnston - DPC Prints! Another favorite image that I love to do is close ups of the rocks at the local beaches. This was taken not far from Bullcock beach, near the Boardwalk, around the headland at Caloundra.